This episode originally aired on May 13, 2011. On January 8, 1835, all the big political names in Washington gathered to celebrate what President Andrew Jackson had just accomplished. A senator rose to make the big announcement: "Gentlemen ... the national debt ... is PAID." The huzzahs rose up around the halls of Congress, or something like that. That was the one time in U.S. history when the country was debt free. We had actually paid it all off, which never happens. It lasted exactly one year. And we've been arguing about the debt ever since, issuing treasury bonds along the way. We're around $14 trillion now. On today's Planet Money: A brief history of the national debt. 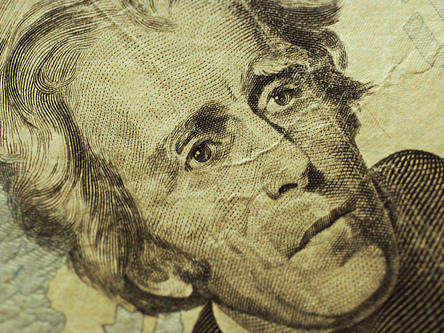 Where the debt came from — at first, it seemed like a great idea, at least according to Alexander Hamilton — what happened the one time we paid it all off, and why Congress created the debt ceiling in the first place.